A petition from Save Cardiff Central is going to ten Downing Street asking Gordon Brown to prevent Cardiff Council reducing the city’s bus services. Campaigners, including the city’s Green party, say the council’s development of Cardiff Central is making it more difficult for people to use public transport in the capital and reducing the city’s main transport hub. Signatories are calling on the Prime Minister to prevent other local authorities across England and Wales from doing the same. The changes were introduced as part of Cardiff Council’s joint Sustainable Travel City initiative with the Welsh Assembly Government. The council hopes the changes will reduce congestion in the city centre and encourage more people to use public transport. The new bus routes, which were introduced in October last year, mean all the buses now travel in an anti clockwise direction around the city. Campaigners say this means people have further to walk to get to bus stops and adds considerable time onto people’s travel signs. In an attempt to reduce congestion around the bus station, more bus stops have been introduced along St Mary’s Street. Consequently only half the buses now stop at Cardiff Central Station. Councillor Bowen says this will help keep traffic flowing around the city centre. Matt Townsend also has concerns about the new Free B bus, which is designed to link up bus stops around the city. There are also complaints from Cardiff residents that people haven’t been told about the free service. Consequently, very few people are using the service. Councillor Bowen says a new publicty campaign has now started to advertise the new service. There will be a leaflet drop to people’s homes and posters put up around city bus stops. 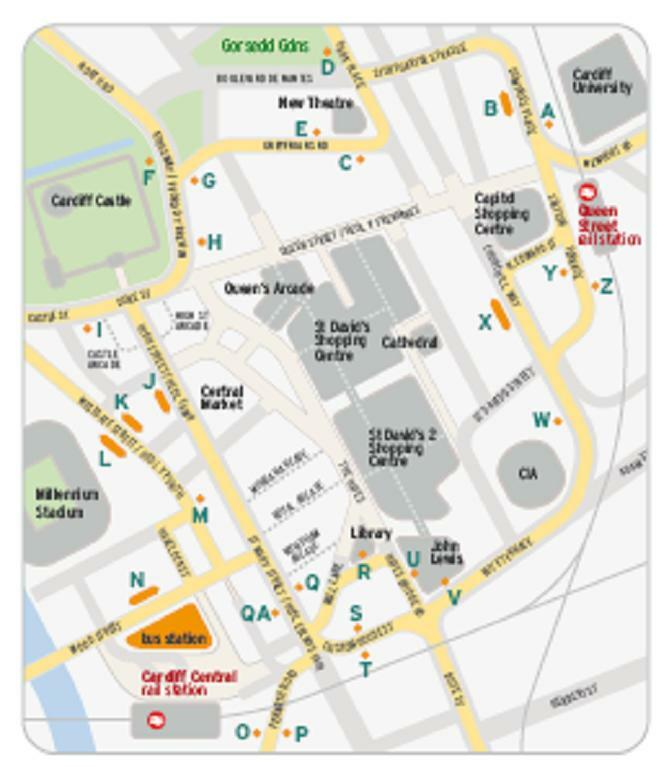 Save Cardiff Cental campaigners are concerned that the council has not been clear about its longer term plans for Cardiff Central Station and the city’s bus system. Coucillor Bowen says the plans could take another five years to materialise. He said: “We’re in discussions about a new bus station and new sustainable transport systems such as a tram that can run on the road or on tracks.